Deputy Chief Minister and Education Minister Kadiyam Srihari said that the recent attacks are on 'constitution, rights of Dalit and fundamental rights' are underway and this is not a good development.He alleged that the SC and STIs are now coming up and questioning the injustice they have done and that they do not cease to answer their questions. Dr. Baba Saheb BR Ambedkar 127th Jayanti Celebrations were held under the auspices of the SC / ST employees in the Secretariat. Deputy Chief Minister Kadiyam Srihari, who was the chief guest for these festivals, said that all parties have a situation where Ambedkar can not speak about it today. His earlier constitution was also a solution to the present contemporary issues. Ambedkar Jayanti is the only country in the world to be proud of. We recognize that Ambedkar is a world leader and the unity of the United Nations is also proud of the fact that Ambedkar Jayanti is officially organized.Deputy Chief Minister Kadiyam Srihari said Dr BR Ambedkar was in his sleep and he wrote the constitution without sleeping to wake the nation. The Constitution Parishad has appointed seven members for the Constitution to have a written Constitution for the largest democracy after independence in India. But Krishnamachari, a member of the committee, said that Dr B Ambedkar was the only member of the committee who took over the duties of the constitution and that it was done by the fourth and the other in politics. That's why Ambedkar knows greatness. Six decades of struggle, martial sacrifice and the Telangana struggle in the KCR led by him ... The Article 3 of this Constitution was written by Telangana State. In 1989, when VP Singh was the Prime Minister, Ram Vilas Paswan was the Social Justice Minister of the Prevention of Attitudes Act, in 1989, that there was a PCR law to protect against the molestation and molestation of Dalits. The Supreme Court has dismissed many of the laws in the Act but now the Supreme Court has given due consideration by the Central Government. This is the central government's attitude. Some are now worried that reservation should be lifted and warned that the Dalits should be alert to such incidents. 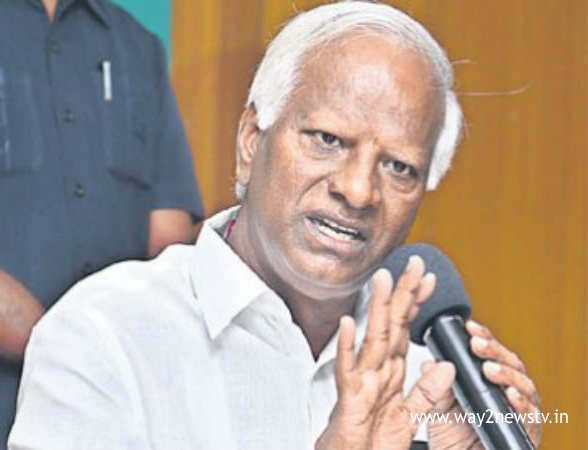 Parties and governments will also be afraid when Dalits are united.Telangana government BR Ambedkar has decided to set up a 125-foot statue of 125th birthday and Ambedkar memory in NTR Marg, Deputy Chief Minister Kadiyam Srihari said. When asked about what the Chief Minister told him to do in the debate on the KCR and to make dalits ... he said he wanted to set up 125 Gurukuls during the 125th birthday to give quality education to the Dalit children, but the CM KCR has given 577 Gurukulas in these three years. I am very proud of him as Education Minister. Telangana state is the only state to offer education to 10 lakh people. These gurus are providing quality food and quality food. The recent college intercollegiate colleges have been shifted to the top of the gurukul college. After jurors, government junior colleges stood up and were in the last place with private colleges.Chief Minister KCR has named him as chairman of Kozhikode, Deputy Chief Minister Mahmood Ali and Thalassa Srinivas Yadav for setting up of financial cooperative schemes. The Chief Minister said that if the proposal is made for 80 per cent subsidy and 20 per cent, In the past, Telangana government has reverse it as 80 per cent loan and 20 per cent subsidy. But the 20 per cent loan is also causing difficulties to banks, and millions of dollars are banking in banks. The Telangana government said that Ambedkar would be led by Chief Minister KCR.The event was attended by Deputy Chief Minister, Revenue Minister Mahmood Ali, Minister of Agriculture, Talasani Srinivas Yadav, TSPSC chairman Banerjee Chakrasana, SC, ST Commission chairman Errolala Srinivas, MLC Ramulu Nayak, MLA Babu Mohan, Government Agent Ramchandra Naik, Secretariat SC, , Employees and staff.